My girlfriend is having a baby boy and we had a shower for her on the 19th of June, she was so happy and surprised! Everyone had a good time, fun games, lots of food and of course she got some wonderful gifts. My other girlfriend, Jill, and I decided to get a diaper cake done for her, I don't have any pictures without the gift wrap, but I think it turned out very nice. I may have to try this myself. Thank you Roxanne!! 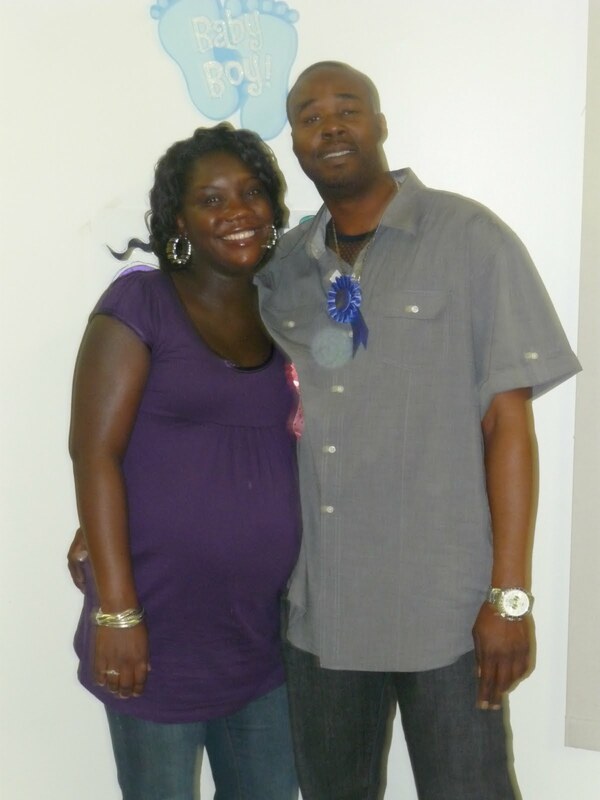 Here is a picture of the expecting parents! well big congrats to the happy parents-to-be! great gift and fabulous card!